This photo brought millions to tears. It’s touching to see what’s become of this dad. It's an image that pains your heart to see. 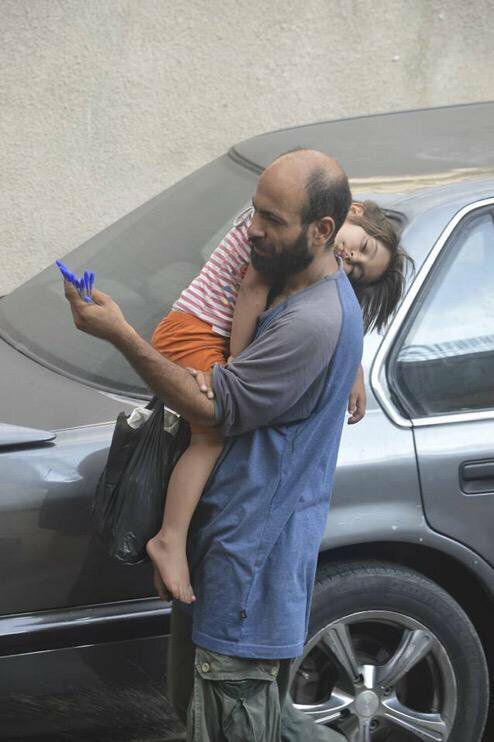 A shabbily dressed man running dangerously between cars, pens in one hand and his sleeping daughter in the other. The little girl's arm is hanging limp down his back, she's not even wearing shoes. The man's eyes are filled with desperation. This image was captured in Beirut, the capital of Lebanon. 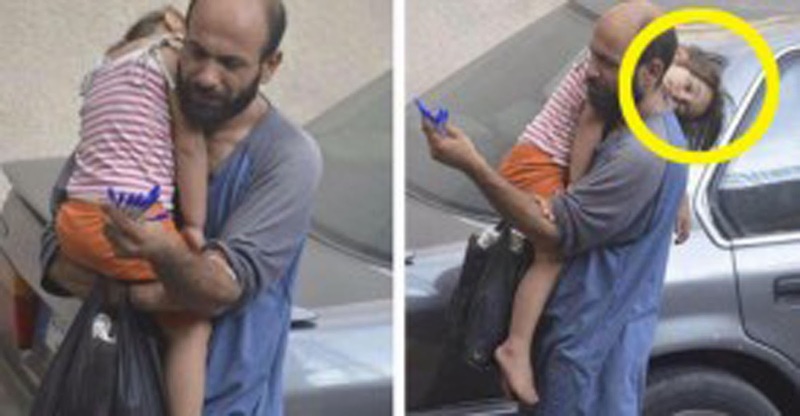 After a journalist shared the photo on Twitter, it went viral, touching the hearts of many around the world. 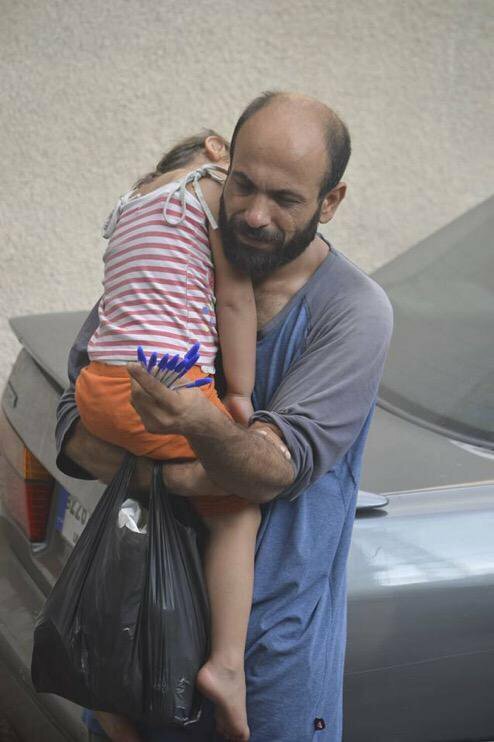 The man is one among many thousands of refugees fleeing conflict in the Middle East. Many are trying to survive in Lebanon without any support or aid. The man was identified in a news report. His name is Abdul Halim al-Attar. 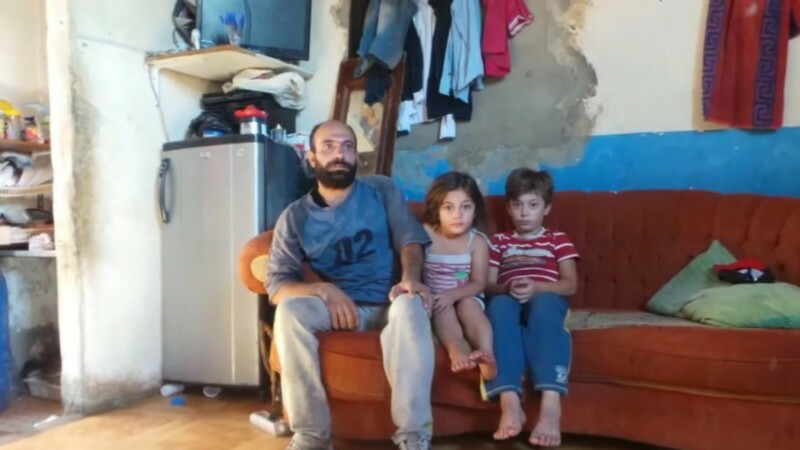 He is a 33-year-old single father who is trying to pull through with his 2 young children. That is why he was out on the streets trying to sell pens. As people around the world heard about and were touched by this father's story, more and more decided to play a part in determining his future. The goal of raising $5,500 in donations was blown out of the water. In 3 months, people from around the world donated a sum close to $200,000. 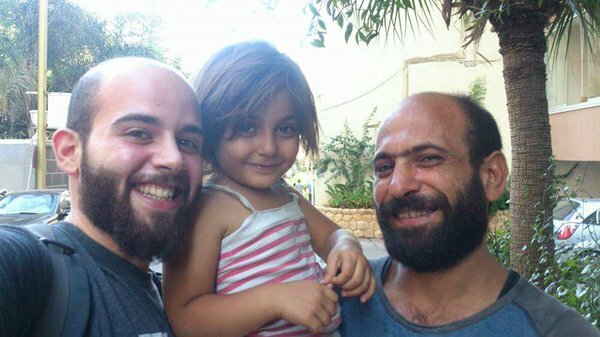 But due to a rule that prevents refugees from opening bank accounts in Lebanon, he could only receive some 40% of the total donations via a complex bureaucratic process. Nevertheless, Abdul was able to use the money to start rebuilding his life. He bought a bakery, a restaurant, and a kebab shop. 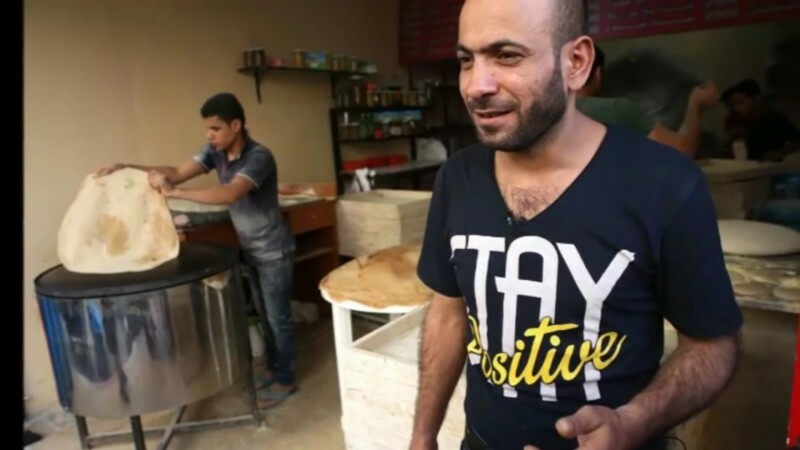 He employed 16 other refugees and is helping them get back on their feet. 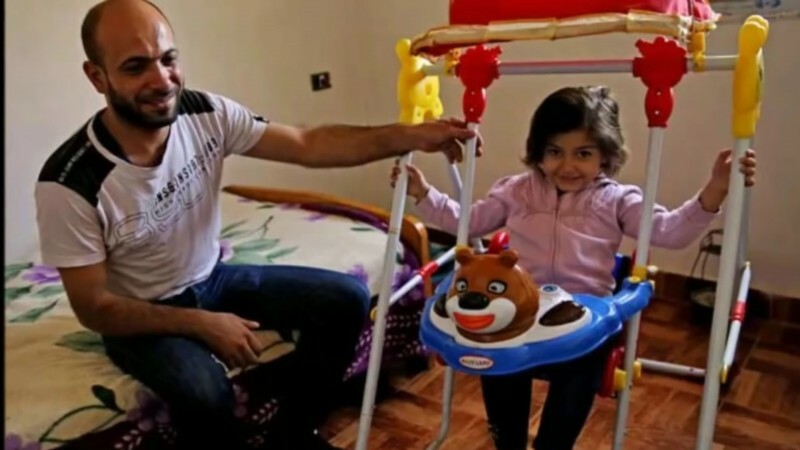 The money made it possible for his 9-year-old son to finally return to school after 3 years without it, and his sweet 4-year-old daughter is all smiles about her new toys. 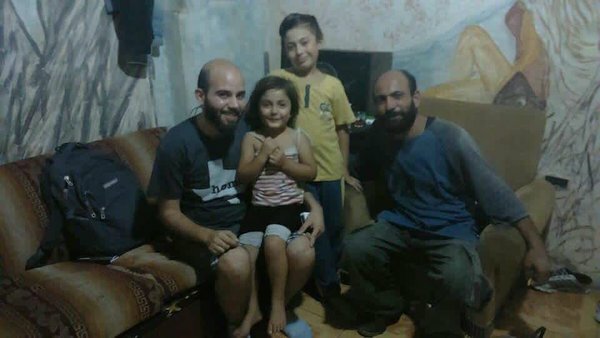 The family of 3, which had been living in a single room, could finally move into a proper apartment. Abdul distributed the remainder of the money among his friends and family who are still back in his war-torn homeland. "It's not just my life that has changed," said Abdul, "but the lives of my children and all the people at home who I was able to help." The refugee situation in Lebanon is particularly dicey. There is little to no government support, the refugees struggle to find work, and thousands are living homeless on the streets. The small country is being pushed to its limits. Share Abdul's story to remind others of the difference that one man can make for the lives of so many people. No one should have to lose their home and family to war.